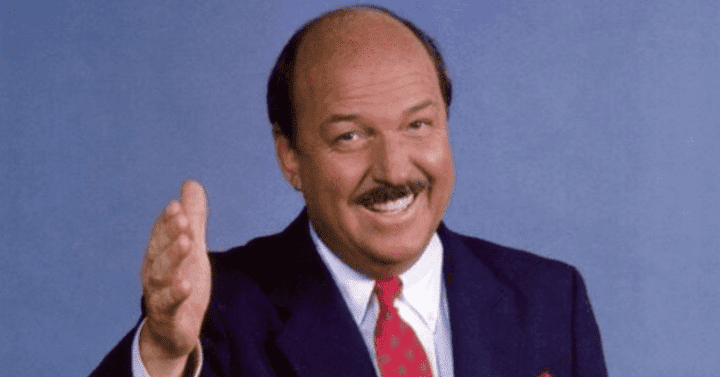 We’re heartbroken at Tiebreaker.com that Mean Gene Okerlund, whose fame as an WWE interviewer may have surpassed that of Mike Wallace on “60 Minutes,” received his final 10-count over the weekend. He was 76. Bald and bespectacled, deadpanned and solemn, slight in stature but large in bluster, Mean Gene brought the world of professional wrestling bouncing off the ropes and into our homes for decades with a straight right to the kisser. He was to the WWE what Craig Sager was to the NBA, omnipresent and beloved, but in more sedate sports jackets. It was his personality that was in technicolor. Let’s face it, Westlemania wouldn’t made it to Westlemania XXXIV without Mean Gene standing in the holding area talking to the gladiators before and after they climbed the ropes. He dealt with their rages and rants like a true professional, his tongue firmly in cheek. You know, professional isn’t for real, right? Wait, you didn’t know? Ooops, sorry. We also bet you didn’t know Jesse “The Body” Ventura, who would one day become governor of Minnesota, gave Okerlund his “Mean” moniker. And since 1984, when he first was splashed by WWE syndication across our television screens, he delivered some of the most probing interviews in sports journalism. He began his career in radio in the 1960s working in Minneapolis and Omaha. He then joined pro wrestling in 1970 with the AWA as a ring announcer, substituting for the regular Marty O’Neil. The one difference was Mean Gene also dabbled in in interviewing. The wrestlers loved him. The Ultimate Warrior, Macho Man Randy Savage, The Undertaker, Stone Cold Steve Austin, John Cena, Hulk Hogan, Andre The Giant – all the greats – loved to stop and talk to Mean Gene about how they couldn’t wait to crush their opponents, preferably with a folding chair, bada-bing right over the head! We can still hear The Hulk responding to Mean Gene’s first question with “Well, you know something, Mean Gene. …” Television magic, folks. The Hulk and Mean Gene also teamed in a tag-team match in 1984. It was one of four times he ventured into the ring . He and Hogan beat Mr. Fuji and George “The Animal” Steele. In 2000, Buff Bagwell and Gene beat Chris Kanyon and another announcer, Mark Madden. Mean Gene also won the rematch a week later. Finally in 2012, he jumped in again by beating Alberto Del Rio and Daniel Bryan on “Smack Down.” He retired from the ring, fittingly undefeated. Of course, Mean Gene is a WWE Hall of Famer. Think Vin Scully, Keith Jackson, Chris Schenkel, Dan Kelly and Pat Summerall, just to name a few. Mean Gene is sitting on that dais, no question. In time, Mean Gene’s spotlight expanded to shows like “Tuesday Night Titans” and “Wrestling Challenge.” The viewer knew it was a big event when he showed up, like Howard Cosell on ABC doing an Ali fight. And who possibly could have held back the tears in 1985 when he sang the National Anthem at Madison Square Garden before Wrestlemania I? Mean Gene left the WWE for a few years in 1993 for the WCW, the World Hockey Association of the sport, before making a glorious comeback in 2001 (when the WWE bought it) to call the “Gimmick Battle Royal” with Bobby “The Brain” Heenan at his side. You might have heard him sing “Tutti Frutti” on a WWE album. You might have also seen his Mountain Dew commercial with comedian Kevin Hart. Wrestler Brock Lesnar Reported to Return to the Octagon?